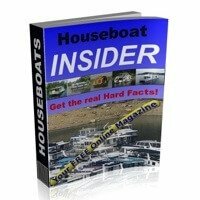 When it comes to the subject of marine AC pumps or houseboat air conditioning, an AC unit is often VITAL to having a great time on a houseboat when it's scorching hot. It could be a "dual purpose" reverse-cycle unit (for heating, depending on time of year). You often need it 24 hours a day, and sometimes it will run NON-STOP for weeks or months at a time. In many areas, it makes sleeping an ABSOLUTE necessity (if you don't want to be grumpy from lack of sleep). Cold AC Air is a real blessing. You don't have to suffer the pain. 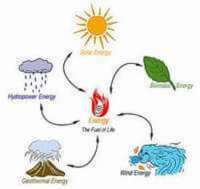 A critical component of the air conditioning (or reverse cycle heating) system is the seawater/freshwater circulation pump for the climate control system. 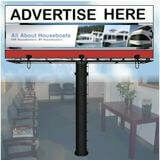 It unfortunately is a common item that breaks down, and many boat owners DON'T have a spare pump onboard. A thermostat is easy to find locally, not the pump. 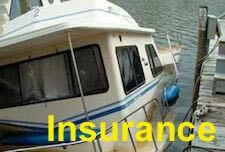 Your car has a spare, why doesn't your boat? 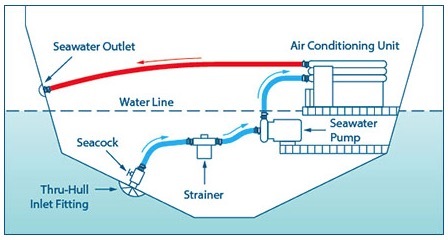 The marine "thermopump style" Air Conditioning units on many houseboats are like the diagram below. They are commonly found in 9k, 12k, 16k, or 24k BTU unit sizes, and often have an optional extra which is "reverse-cycle" which allows the unit to handle the boats heating along with the units main cooling function. They require lots of cooling water to operate, which is pulled from a thru-hull fitting in the boat (below the waterline). Popular AC pump (seawater pump) sizes are the 250gph (small size), 500gph (most common), or a large 1000gph capacities. 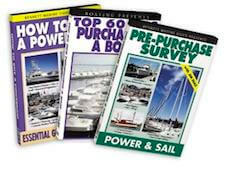 Marine AC Pumps can last anywhere from a few hours to years, depending on the pump type, and the boats operating conditions. Many can NOT be run dry which is where many of them die. Sometimes debris or a plastic bag blocks the water intake where permanent damage can occur. Irregardless to what causes a pump failure, it is very often imperative that a spare or substitute pump can be replace or installed in minutes (rather than days), to quickly recover from the loss of comfort and enjoyment. On a personal note, I had a spare AC pump that allowed me to help a neighbor and swap his failed seawater AC pump that broke down during the night, that would have required a few days for a new replacement to arrive. 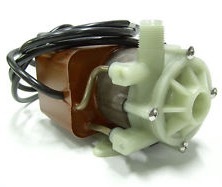 Liquid Cooled: The made in USA pump is a magnetically-driven pump with a totally enclosed motor for bilge or engine compartment installations. They have epoxy encapsulated motors through which the pumped water flows in a copper nickel tube which cools the components. The unique seal-less pump end features an orbital magnetic drive on a ceramic shaft with a ceramic thrust washer. These pumps are explosion proof and can run submerged or in the open air. 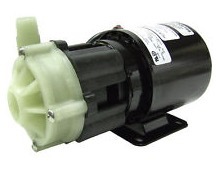 Epoxy Sealed: The made in USA pump is a magnetically driven pump, with no shaft seal. The pump is epoxy encapsulated, which allows the pump to run fully submerged in many liquids or in open air for complete moisture protection. The pump is not self-priming and requires a suction. The pump has run dry and thermal overload protection. In a "run dry situation" the pump will shut down. Simply let it cool down or hose it down to assist in the cooling. The pump will run several hours before shutting itself down without damage. After reintroducing water, you simply wait for the pump to cool on its own (or hose it down) and it will resume operating normally. 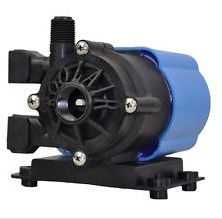 Air Cooled: The made in USA pumps are open drip-proof motors only for dry environment installations only (not for engine compartment installations). These pumps feature open air, thermally protected and moisture protected motors. The unique seal-less pump end features an orbital magnetic drive on a ceramic shaft with a ceramic thrust washer. All pumps are 115v rating. Free shipping within the lower 48 states. Before ordering a pump, please fill in our inquiry form below to verify the pump style & sizing for your application. 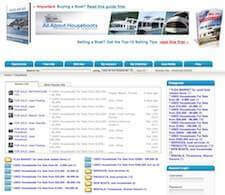 We do this to ensure your total satisfaction. Which AC Pump interests you? * ---Select---Liquid Cooled LC250 Liquid Cooled LC500 Liquid Cooled LC1000 Epoxy Sealed ES500 Epoxy Sealed ES1000 Air Cooled AC500 Air Cooled AC1000 Not Sure Which Pump? Please consult our terms and conditions for the latest details on our return policy, free shipping, exceptions, pricing, or availability, etc.